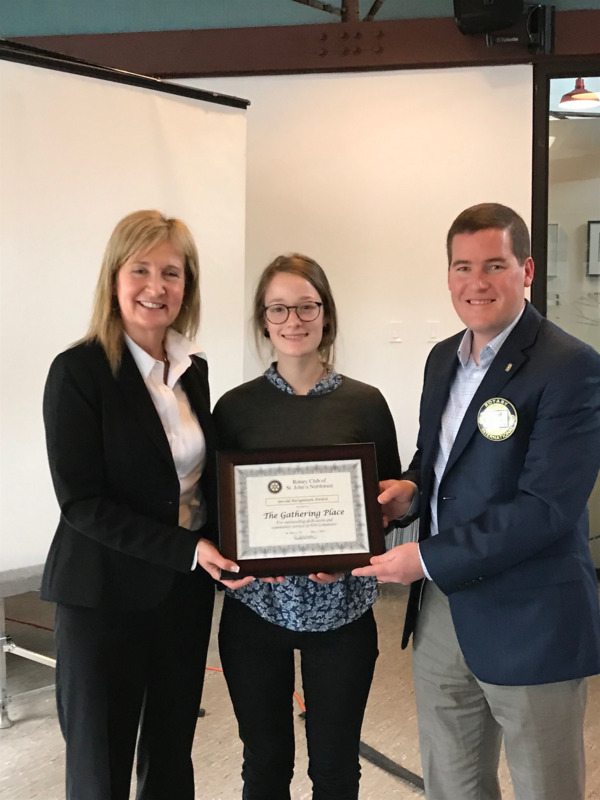 The Rotary Club of St. John's Northwest was pleased to present two Exemplary Service Awards at its May 1st meeting. Usually presented to an individual over the age of 65 who has provided exemplary service to the community, this year, for the first time, two awards were given - one to an individual and one to a group. 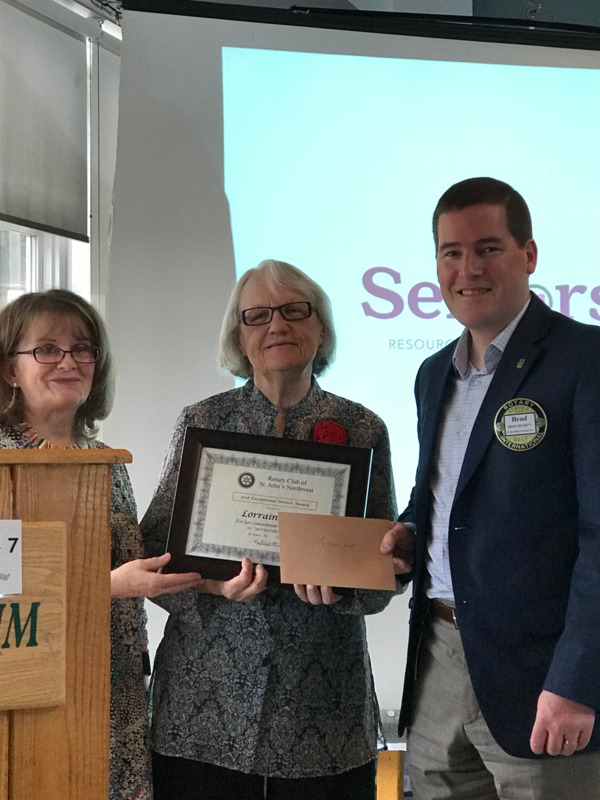 The individual award was given to Lorraine Best, for her long-standing service to seniors through Seniors NL and other activities. Lorraine gave a powerful presentation as part of her acceptance on the damaging effects of ageism. The second Exemplary Service Award was given to the group of over 800 volunteers at the Gathering Place. They were nominated by The Gathering Place as a group and the Award Committee felt that they deserved the award for the tremendous services they provide to the community.